The workshop was inaugurated by Additional Principal Secretary to the Prime Minister, Dr. P. K. Mishra, who mentioned that India has been experiencing weather and climate related loss and damage, the Kerala floods and Ockhi being the rarest of the rare events. Given the evolving scenario, he suggested that the past is no longer a good guide for the future, and therefore such workshops are important. He identified five principal challenges that need to be addressed, including the need to understand not only the total quantum of loss but also its location, as well as impact on gender and social groups, the need to go beyond what is easier to measure, such as biodiversity loss, ecosystem services etc., address the attribution of the loss and damage, generate scenarios for future situations and invest in adaptive capacities, and the need to bring out clearly that loss and damage is not only an issue for small island developing countries, but also a critical issue in large countries like India which has a long coastline with numerous islands and coastal cities and Himalayan states at the risk of glacier outbreaks. He further underlined that India has committed to ensuring climate justice and mentioned the need for the developed countries to show greater commitment to support the most vulnerable and developing countries, including financial and capacity building support. 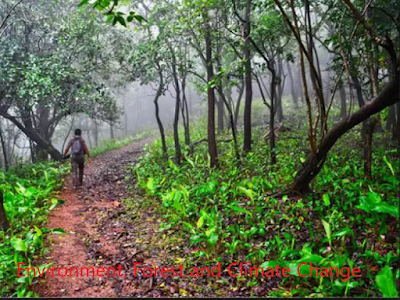 Secretary, Environment, Forest and Climate Change Shri C. K. Mishra highlighted that GHG emissions have been talked many times, but the discourse needs to move to critical elements and systematic planning. He urged the global community to come up with a global plan to address the issue loss and damage. He mentioned the Fiji Clearing House on Risk Transfer introduced at UNFCCC COP23, which was the first time when risk transfer and mitigation was discussed internationally. It was brought out that it is not only a Small Island States issue, but also for countries like India which who are at the risk of facing climate induced loss and damage. He added that global experience is good for knowledge and learning, but the country needs to bring in its own policies and recommendations as it has a diverse geography. He also underlined the three critical elements for addressing the issue of loss and damage, including risk reduction through more plantation, risk retention and risk transfer through insurance and funding mechanism. Mr. Chad Tudenggongbu, representative from UNFCCC, talked about the global context of the issue of loss and damage, including heat waves, tropical cyclones, salinization, glacial retreat and desertification. He highlighted that the response action for loss and damage often requires multinational arrangements, with enhanced action and support. The workshop had two technical sessions on specific topics including ‘Strengthening response to address loss and damage’ and ‘Approaches to assess, manage and address climate risks and loss and damage’ with eminent speakers from various State Governments, organisations and institutions including International Institute for Applied Systems Analysis, IIT Delhi, Madras School of Economics, National Institute of Disaster Management, ActionAid International, Government of Tamil Nadu, Government of Uttarakhand, Government of Kerala, GIZ, and Indian Institute of Public Administration.